This back to school season will present a new challenge for me. Due to a major construction project at my school, I’ll have less time than ever to set up my classroom. We had one day to pack things up once the kids left (obviously I pre-packed what I could prior to that day). And we’ll have about one week to get everything set back up again, if things go according to plan. So although that means I get to enjoy more summer vacation time, it means crunch time once the building is finished! As a result, I have to work smarter than ever before. I already have a Back to School to do List in place to be as efficient as possible (It's a free, editable download if you'd like). But this year more than ever I feel the need to recruit help. Do you have family, friends, or former students who come help you set up? If not, is it something you’ve considered, but you’re not sure how to delegate? Here are my top ten tips for delegating those back to school tasks. 1. Clean desks. Usually I like to do this before my vacation starts, because it’s nice to walk into a clean classroom. But this year once they unlock the doors, my husband and I will be there. He will scrub down the adhesive from the old name tags, Magic Eraser the surface, and Dustbuster the insides. 2. Staple bulletin board trim. You’ll want to use your helper as a second pair of hands with this task; some non-teachers may feel intimidated if you ask them to do this on their own. But you’ll still get it done in half the time with help. I have directions in this post. 3. Sharpen pencils. Sharpen at least 100 and hide all but 50 of them. I’m not even joking; if you start this habit early, you will not bat an eye next time you hear "I don't have a pencil" or even "There are no more pencils in the cup." 4. Distribute textbooks, notebooks, folders, and so on to students’ desks. If you’re like me, you number your students and books, and print off labels so names are already on notebooks and workbooks. If this is the case, you will need to set out name plates and stick on name labels prior to assigning this task. 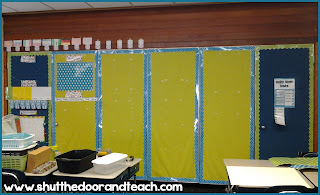 If you don’t have numbered materials, and/or you have students write their own names on items, this is even easier. 5. Sort the classroom library. Now, of course, the organization of the classroom library is so individual to different teachers. 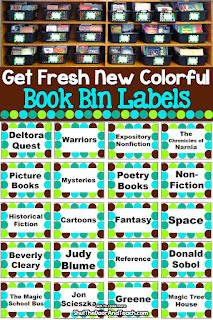 I have to take all the books out of the bins but I keep the labels on (I have my Book Bin and Basket Labels available for you). Each book has a sticker to code which bin it goes into so the kids know where to put them, so my husband is able to sort them as well. And of course, they are in neat piles so it’s sorting of piles as opposed to one book at a time. 6. Remove plastic (if you've covered shelves) and dust the shelves. 7. Wipe down the sinks and counter tops. 8. Clean the whiteboards. If you’ve never tried the toothpaste trick, check it out! It really works! Just be sure to use cheap toothpaste that is the white paste kind with NO GEL. The gel smears and discolors, but using a damp cloth with a little toothpaste works great, smells fresh, and you have one less chemical to inhale. 9. Distribute supplies into caddies: Crayons, 4 pairs of scissors, 4 glue sticks, and a box of colored pencils work for my students. 10. Set up the computers. We tend to unplug, wrap cords, and cover the computer peripherals. My husband plugs everything in and sets up everything where it belongs for use, and even checks to make sure the networks are either set, or at least lets me know that the tech guys need to be called in if it’s not working. I’ve tried delegating a few other Back to School tasks, but it depends on the organization of your classroom as well as the comfort level of your helper. Make copies. If your helper knows how to run the copier, be specific. Write on a sticky note for each page the number of copies you need, and which should be double sided, stapled, and so on. Sort crayons. I like to have a spot in my room where “old” crayons live in tribes. If someone needs a red crayon, they go to the cup of red crayons and grabs one quickly instead of fishing or fighting for one. Recycle extras. I usually end up with extra copies in my files that are meant to have a single original. If you have a little extra time, direct your helper to go through and get rid of all but one of each. 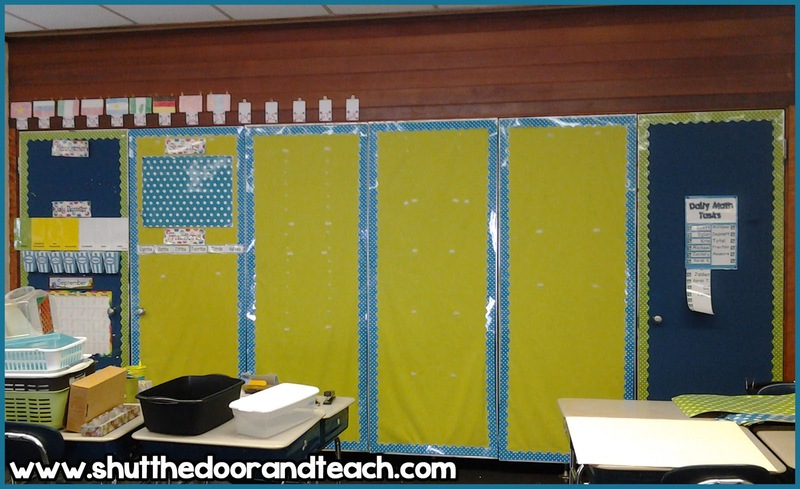 While your helper starts in on these tasks, you will be free to set up and fine tune all those other things you need to do to get your classroom in order. As you work, write down other tasks that come to mind that you can delegate once your helper is finished and asks, "Is there anything else you need?" Prioritize your Back to School tasks. You might find that some of the tasks that are less important could be done by your students later in the year. If you already have this list started, you'll be able to explain your needs more clearly later on, and it will make your job easier in the future. To get you, or more to the point, your helper(s) started, I've created a task list of the top 10 back to school tasks to delegate. It's free and editable since everyone has different needs when it comes to back to school setup. You can download this checklist here. Then, while your helper is working, carry on with your own to do list here.